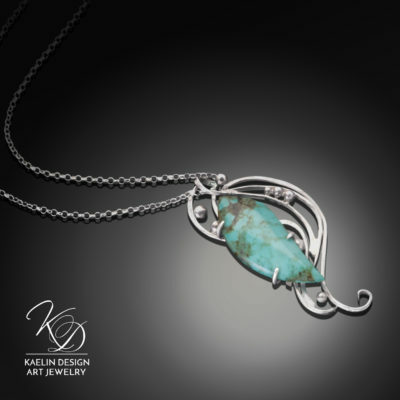 Captured in a cascade of silver, the Turbulent Waters pendant swirls around uniquely cut Turquoise cabochon, inspired by the nature of strength. Strength is not a constant. In the hectic days that threaten to overwhelm, strength ebbs and flows, surging forth when needed, and receding like the tides back into the depths of soul. The fluidity of strength is inherently fascinating- breaking forth when most needed, just when we think it's not possible to hold on... the storm breaks, and there we stand strong and resilient unbowed by the storms of life. 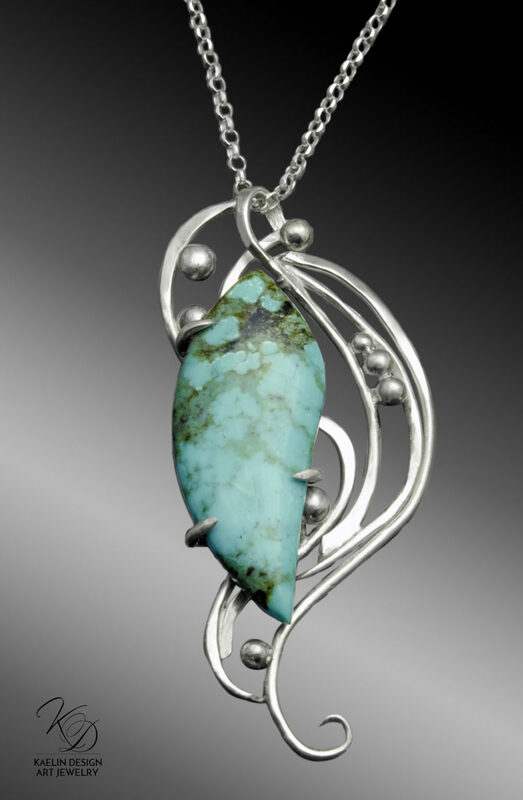 This piece is one of a kind- from the custom cut stone to the forged silver setting, it is unique. I will never make another. You will own the only one in existence. 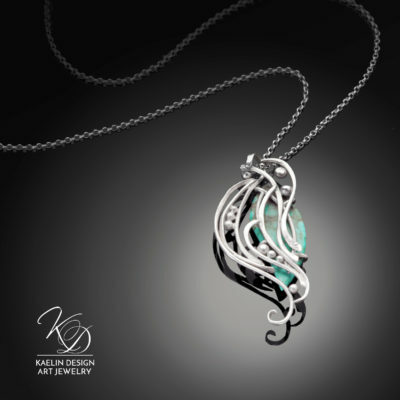 An original artwork- just for you.